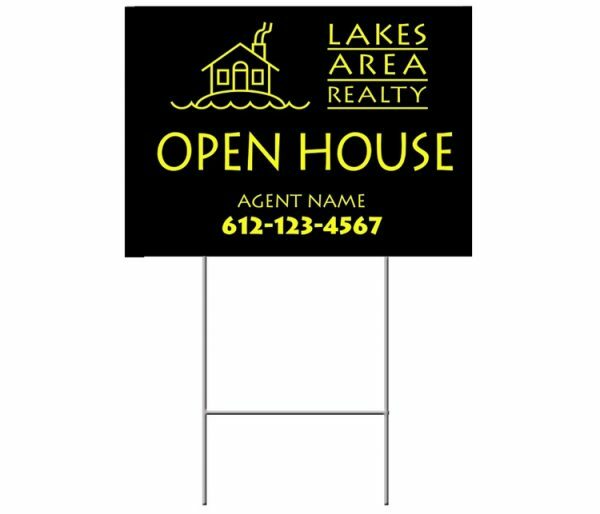 CUSTOM MADE with YOUR information. 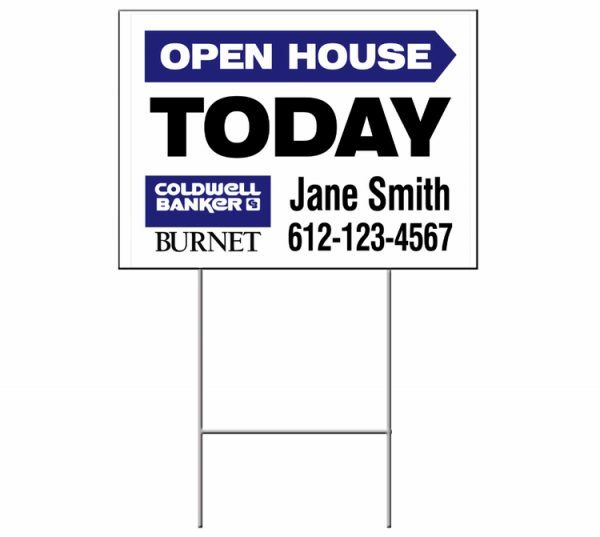 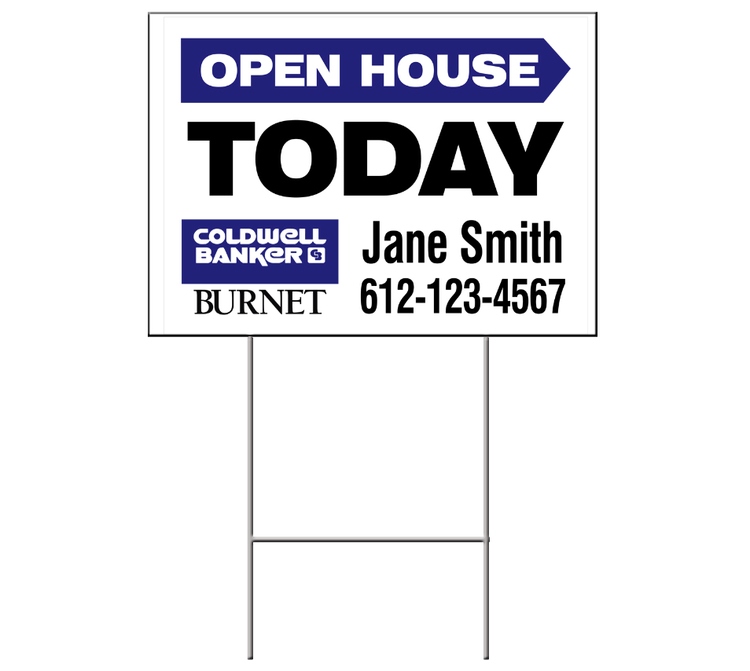 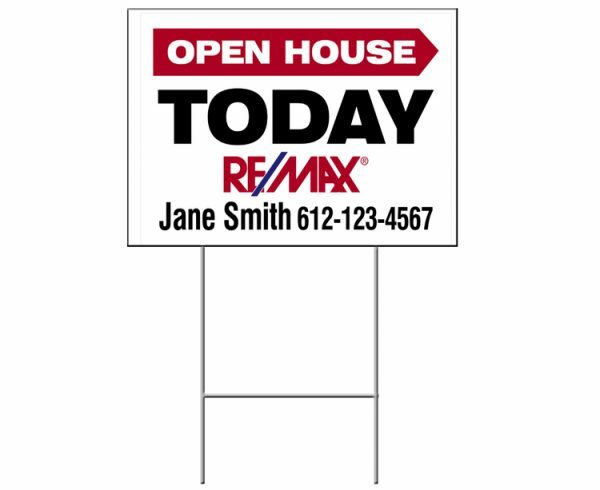 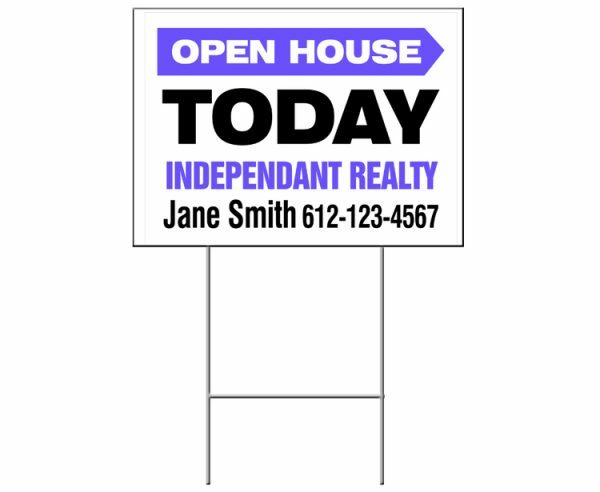 Announce an open house or a home for sale with easy to post real estate yard signs. 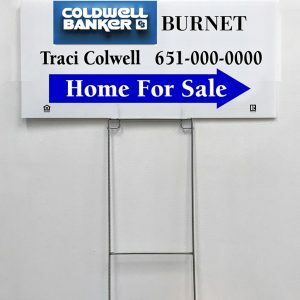 With its metal stakes, situating the sign in the perfect place only takes a minute, and once in place, the sign is sturdy enough to stay in place without having to check in on it constantly. Customize them to match your branding and make them stand out. 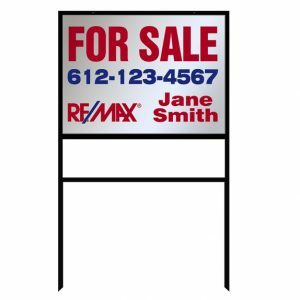 Choose between single and double-sided panels. 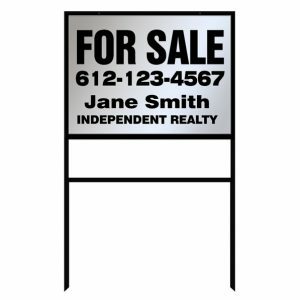 Whatever customization you need, our team has the ability to accommodate most requests. 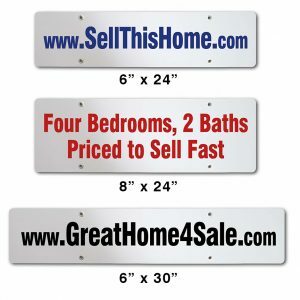 Receive special pricing the more you order. 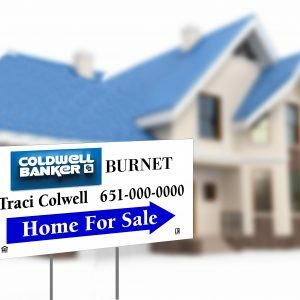 For information on the discounts feel free to contact us online or give us a call so we can help you calculate your savings. 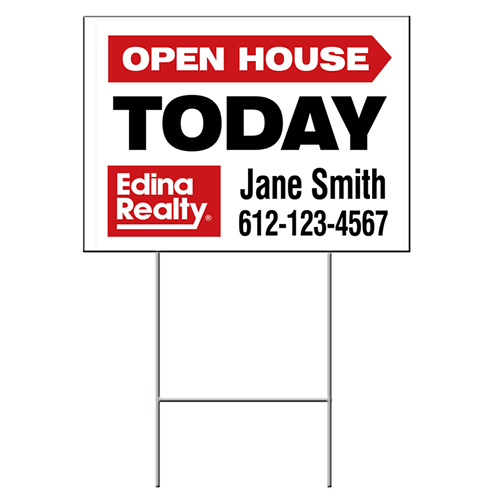 Instead of choosing a national sign shop, just one of many in a chain of locations, customers in the Minneapolis metro will choose us instead. 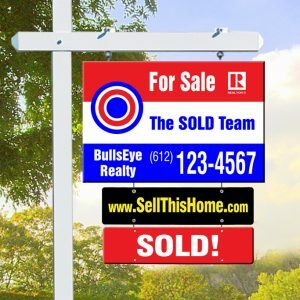 Because they can get the fast service, friendly support and quality synonymous with our local service for what is often a lower price, it’s a no brainier.